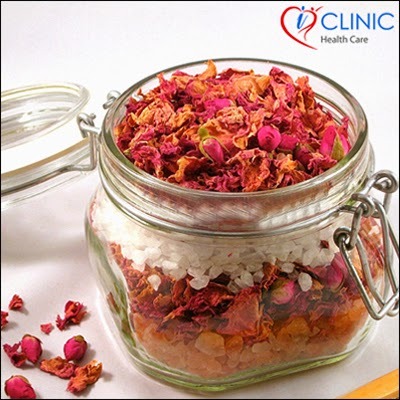 Place the withered rose petals in a jar and add 200 grams of sea salt (coarse) into it. Seal the jar and put it in a warm place for at least 3 weeks. During this course of time, the salt will absorb the scent from petals. Use it for a refreshing bath.